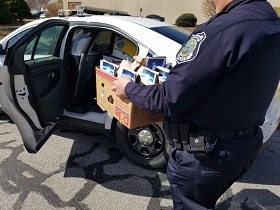 Nothing says Easter in Southeastern Massachusetts like sweet bread! 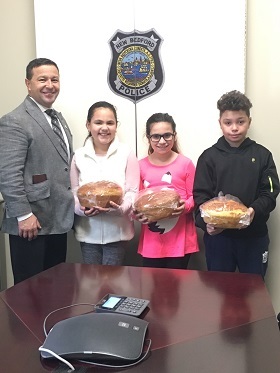 We want to thank Sandy Silva for delivering sweet bread to Headquarters. 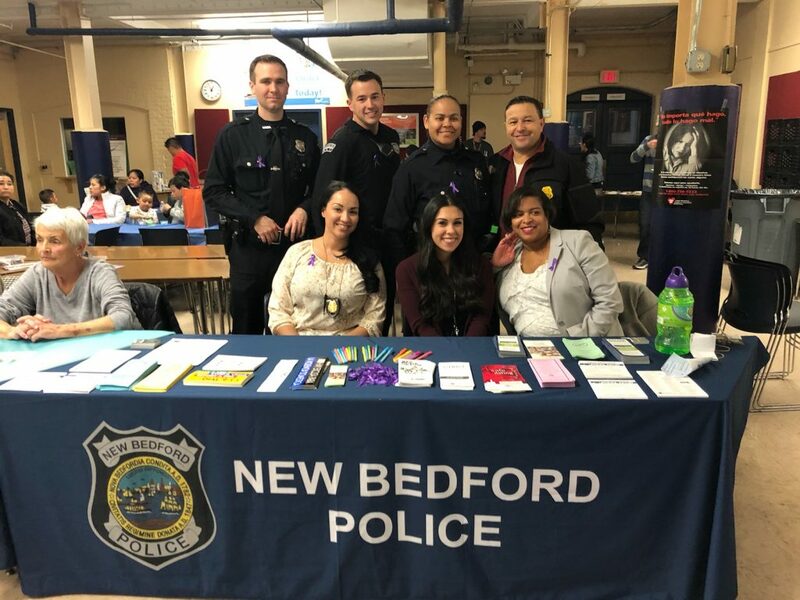 Sandy is not pictured, but her two daughters, nephew, and Chief Cordeiro are pictured with wonderful sweet bread she brought us today, just before Easter! 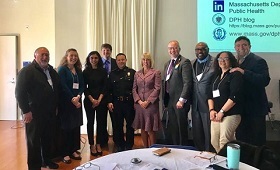 Chief Cordeiro and members of the Greater New Bedford Opioid Multi-Discipline Task Force met at The Whaling Museum on Thursday, April 11th, to provide their expertise on innovative interventions and best practices related to prevention, intervention, treatment and recovery, to contribute to the direction of the task force’s strategic planning efforts to combat addiction. Today we started the construction of our new Sally Port that will be enclosed, along with the booking area that will be re-engineered and restructured as part of this construction at Headquarters. We are looking forward to the finished product! Pet Fest and Walk for Animals coming May 5th. 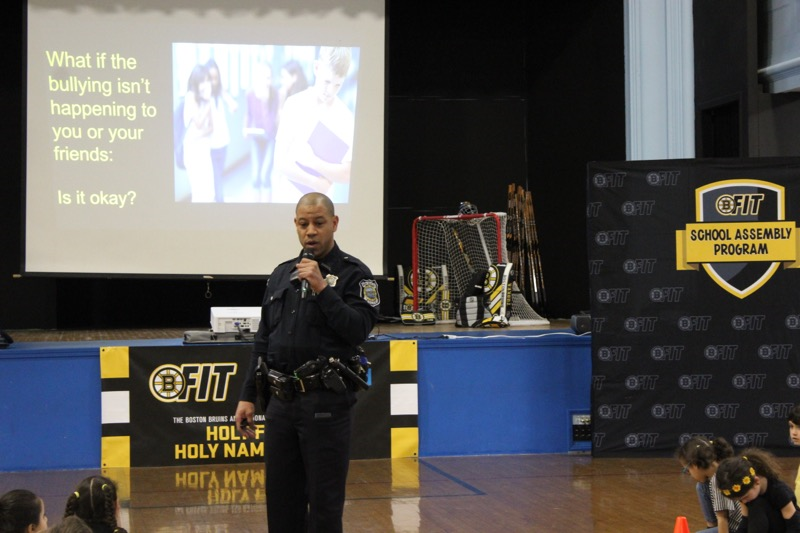 School Resource Officers Harris does a presentation at Holy Family/Holy Name on Bullying, sponsored by the Boston Bruins. 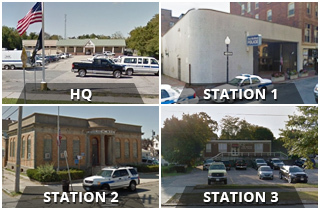 City of New Bedford to host low-cost rabies clinic at two locations.